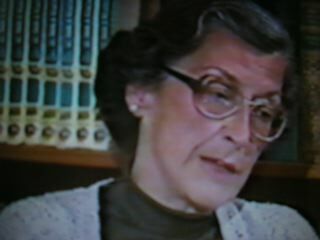 In 1980-81 I interviewed Montara environmentalist Nancy Maule at her Montara home for âThe Mystery of Half Moon Bayâ?. 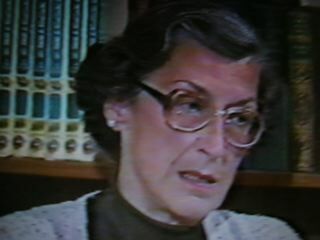 I don’t know what I expected but she looked like a stern schoolteacher. 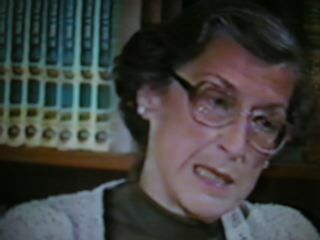 As soon as she began talking it was obvious that she was not only passionate about her beliefs but she knew the history of environmentalism on the Coastside. A proposed freeway helped fuel Nancyâs activism (she didnât drive a car when I met her). She recalled hosting a meeting in her living room organized to fight the freeway, with the preservation of open space the objective. Nancyâs group considered the possibilities of a federal reserve stretching from Milagra Ridge to the north all the way south to Highway 92, encompassing some 40,000 acres. âWhen we first arrived in the 1950s,â? she told me, âthere were no development plans. It was quiet until the early â60s. Then we heard [Henry] Doelger had huge plans to develop.â? [Doelger was eyeing Princeton-by-the-Sea for what he envisioned as a âPolynesian Villageâ?, with all the âtropicalâ? trappings you can imagine]. Thereâs a local legend, Nancy said. âDoelger brought the president of the Bank of America to one of the hilltops, waved his hand, and said: âEureka! Weâve found it! Hereâs my new cityâ. The Bank of America president thought it was a great idea. ââ¦.The only plans effectively carried out can be seen in Half Moon Bayâwhich delineates the philosophical attitude between Half Moon Bay and the rest of the Coastside,â? Nancy said, adding that âAll growth comes to pass in Half Moon Bay.â? Note: Nancy Maule’s group of activists successfully picketed Henry Doelger’s project at Princeton. The big developer’s plans for a “Polynesian Fishing Village” fell through but he did construct a housing subdivision across the way, on the east side of Highway 1.